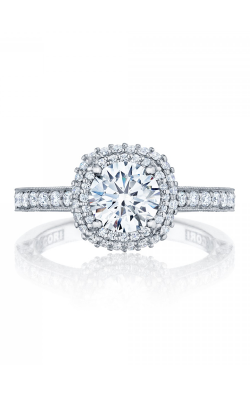 Handcrafted in California, Tacori is a treasure of the West Coast. Its design marries exquisite European design with the most cutting-edge designs that contemporary technology offers. With diamonds masterfully-set by Tacori’s trained artisans, each Tacori engagement ring is a singularly iconic and a treat for the senses. 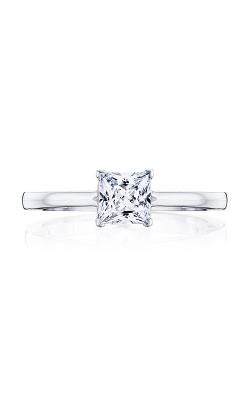 At Merry Richards Jewelers, you can always find iconic geometric designs that immediately read “Tacori.” No matter what your tastes are, the endless variety of Tacori engagement rings means Tacori is the radiant choice to commemorate your radiant engagement for the rest of your life. 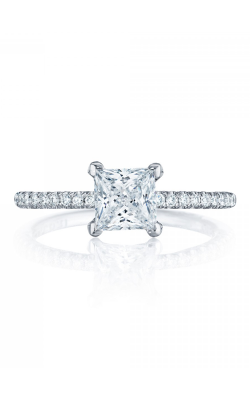 The brilliance of diamonds is easy to see in the royal style of Tacori engagement rings. 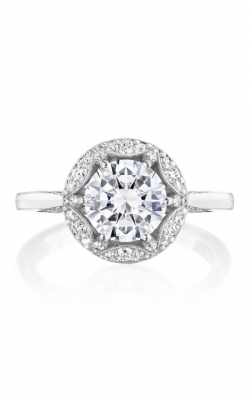 The RoyalT collection, for example, dazzles the eye with its halo-style rings that feature baguette and round-cut diamonds that frame the elegant center stone. 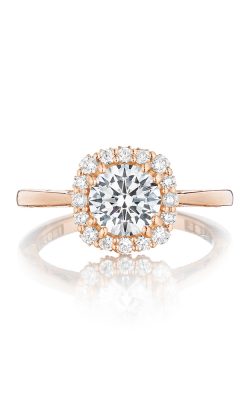 Or, for a more exotic style, the Simply Tacori collection of engagement rings features unique cuts of diamond, like the half-moon cut, blue sapphires, and the flowery elegance of 18k rose gold. 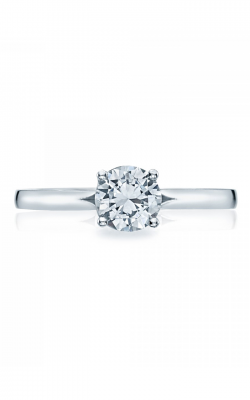 The Tacori Petite Crescent collection is designed to, indeed be a petite look whose rings have thin shanks and bands. 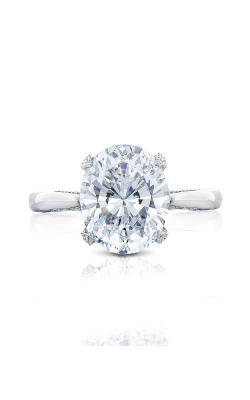 Even with the delicate form of the Petite Crescent engagement rings, Tacori still manages to brilliantly fit a treasure trove of diamonds into their design. 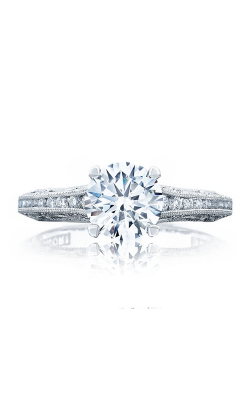 Merry Richards Jewelers offers a wide assortment of Tacori engagement rings, and in addition, some of the most popular collections include Classic Crescent, Dantela, and Sculpted Crescent. 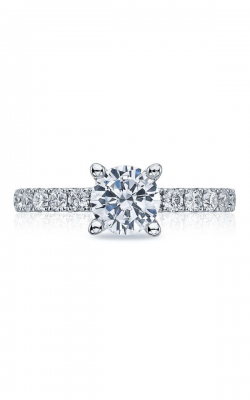 The Classic Crescent collection features rings with swoops in its shanks and bands, clean channel and pave-set side stones accentuating the center diamonds. The Dantela collection contains delightful three-stone engagement rings, luxurious carvings in the head of the 18k gold and platinum rings. 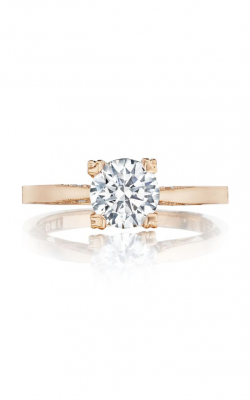 Last, but certainly not least, the Sculpted Crescent collection is a refined and understated collection of engagement rings, the focus of each ring placed on the center stone, its minimalist elegance accentuated by side-stones. 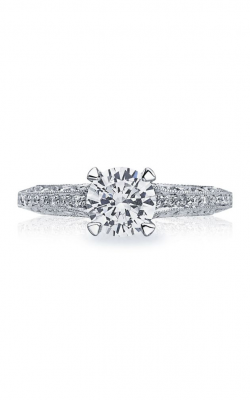 Why Shop for Tacori Engagement Rings at Merry Richards Jewelers? Proud to have serviced Chicago and the surrounding towns of Northbrook, Evanston, Northfield, and Buffalo Grove for over 30 years, Merry Richards Jewelers is devoted to the important moments of your life, commemorating the events that make your life precious. 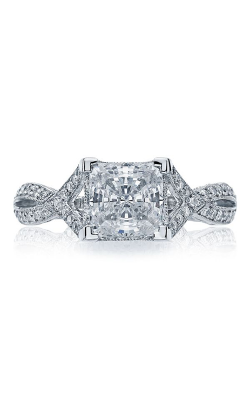 In addition to Tacori engagement rings, you can also find the right Tacori wedding band to pair with your precious new engagement ring. 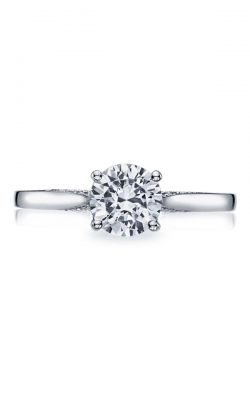 To keep your bridal jewelry shining for years to come, Merry Richards Jewelers also offers maintenance services, such as refurbishing, stone replacement, rhodium plating, and ring sizing, as well as repair performed in-house in our Oakbrook Terrace showroom by our master goldsmith.